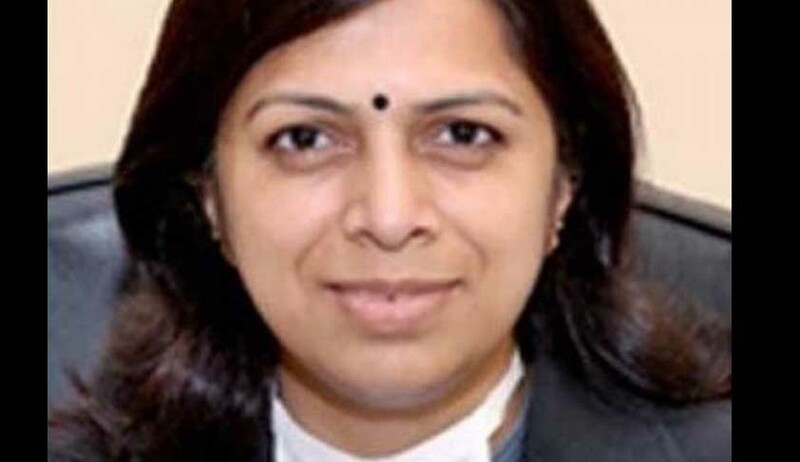 A special court on Monday granted bail to bribery-accused Rachna Tiwari, senior civil judge of Tis Hazari Court Lakhanpal, on a bond of ₹50, 000. She was caught red handed by the CBI accepting bribe last week. Her co-accused Vishal Mehan and her husband Alok Lakhanpal are still in prison. The special judge granted bail to the accused judge by taking into account her familial situations which require her presence, given her minor children would be left alone, in case, both the parents are arrested. The CBI had laid a trap on the Senior Civil Judge in a graft case on 29th September. The CBI had acted on a complaint lodged alleging that advocate Vishal Mehan was demanding ₹20 lakh on the behalf of the judge and ₹2 lakh for himself, for disposing off an execution petition in the complainant’s favour. The CBI corroborated the facts after conducting due verification of allegations. The trap was, thereon, meticulously planned to catch the culprits red handed. As per the stated facts, post the complaint the CBI caught the advocate while accepting ₹5 lakh from the complainant as 1st instalment of the total bribe amount of ₹20 lakh. The advocate revealed that the amount accepted was on behalf of the judge. As per the stated facts of the case, he voluntarily offered to pass on the bribe amount to the judge or her husband and enable the CBI to catch them in middle of the act and sent a WhatsApp message on the judge’s mobile to initiate the process of handing down the money. Thereafter there were telephonic conversations between the advocate and her husband Alok Lakhanpal, which were recorded by a DVR. The Advocate, as per the plan, kept the DVR on while handing over the bribe amount, which he informed, was given to Alok Lakhanpal in her presence. Her husband gave ₹1 lakh to the advocate and retained the remaining amount. Thereafter, the CBI team rushed in and, in presence of the accused couple, searched the premises and recovered the amount. Thereafter, hands accepting the tainted cash were washed in sodium carbonate solution, which turned pink confirming the touching of currency notes. ₹94-lakh cash was also recovered from their residence. The judge was, thereafter, sent to judicial custody and the two co-accused were detained in police custody for interrogation. The counsel for accused put forth that there was no initial demand nor there was any demand at the time of actual trap flowing from the judge nor there is any acceptance on her behalf. They also argued that there was conversation with the judge during the entire sequence of events. It was prayed that the fact that she is a woman with two minor children and an ailing mother and her husband is also under incarceration, should be given due consideration and that there was no chance of tampering with evidence as her court records was sealed. The CBI, however, strongly opposed bail application investigations are at a very initial stage and considering the fact that the entire judicial institution has been defamed, it is a fit case where bail should not be granted. Special Judge Sanjeev Aggarwal granted bail to the accused citing several facts of the case. The judge pointed out that there was no initial demand made by the Judge during the verification proceedings nor is there any recorded conversation by her during the entire trap operation; it was all between her husband Alok Lakhanpal and the advocate Vishal Mehan . The court also observed that the said recovered amount of ₹94 lakh cannot be attributed to the present case and requires separate investigation. The court gave credence to the contention that she is a woman with minor children and an ailing mother who requires regular dialysis and since her husband is too under incarceration there would be nobody to look after them. The judge relied upon judgment inNisha Arya Vs. The State (NCT of Delhi) and stated Sec 437 CrPC was applicable in the present case and granted bail to the accused civil judge.